Nylon bumpers, complete with buffer support brackets. The site was far from straight forward as the client had no experience of loading bay design and a 1:12 slope into the area they proposed to build the loading bay. 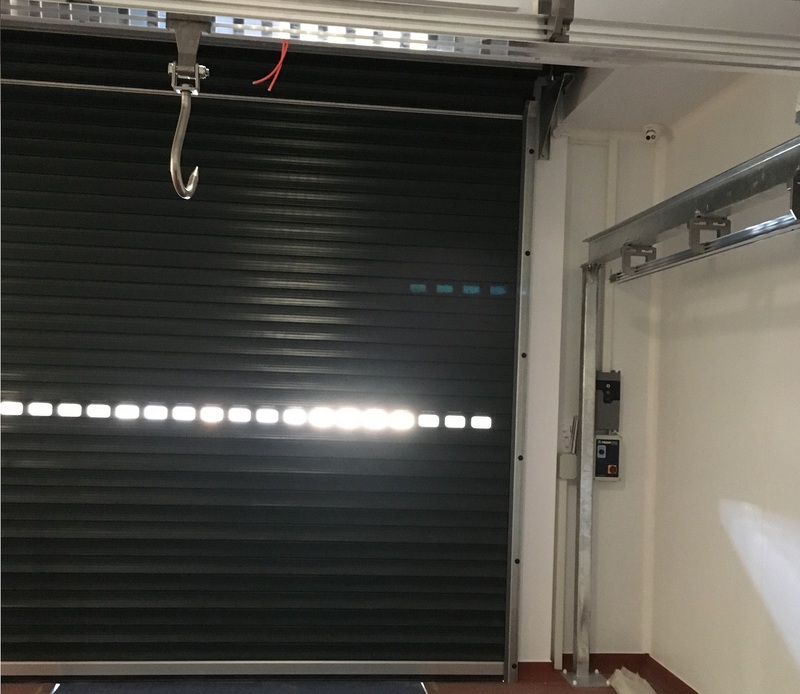 HS Doors helped with the design of the loading bay area, including slope, dock height and leveller length to give the customer a workable solution. 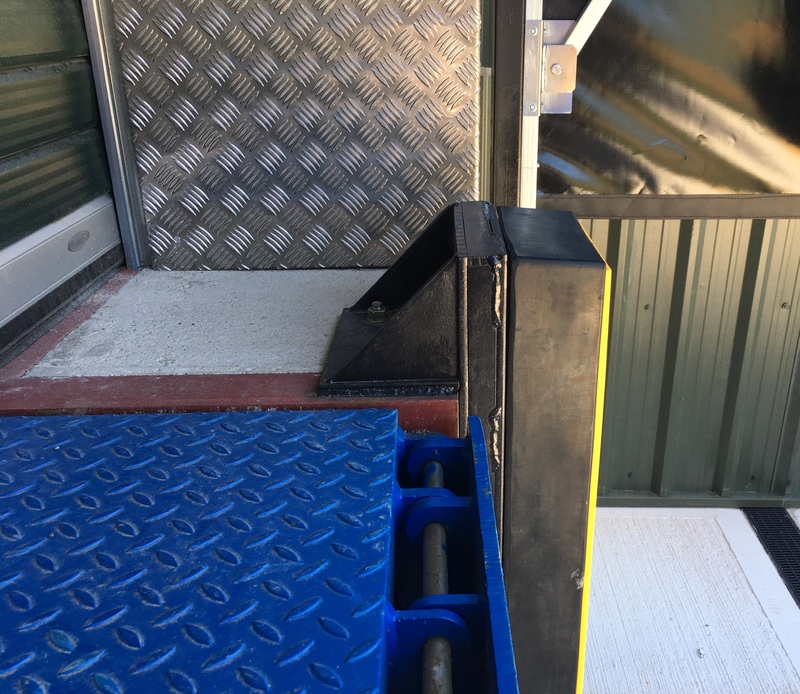 “Selling loading bay equipment is very straight forward, however selling solutions requires knowledge gathered from years of experience”, Richard Amey, Commercial Manager. 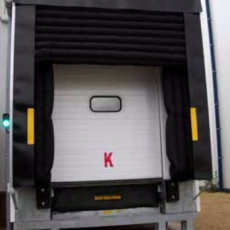 We supply, install and service a range of high speed doors, for both inside or outside use. 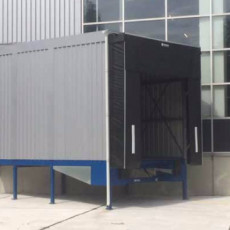 This includes a range of different applications from logistics to cold storage, cleanrooms, security and retail.